Throughout the month of April, we will be embarking upon a Virtual Book Tour, making stops around the web, participating in podcasts and videos, answering questions, and hosting contests! Check back this website for updates. We will even be leaving some easter egg clues along the way! 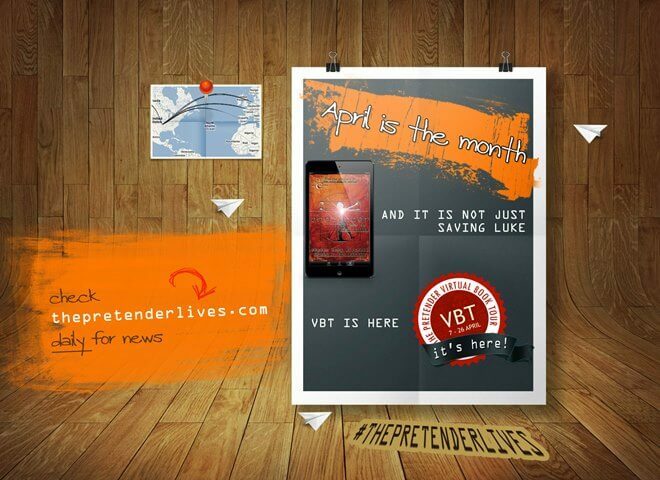 Finally, be prepared for the launch of a few new and exciting endeavors that will change the face of the Pretender. Be prepared to be amazed! Don’t forget to follow us on Facebook and Twitter for all the latest news… and remember, April is the month!